This potential investment property features numerous sustainable building features, including earthbag walls, superinsulation package, and compact and efficient design. Four units, each 462 sq. 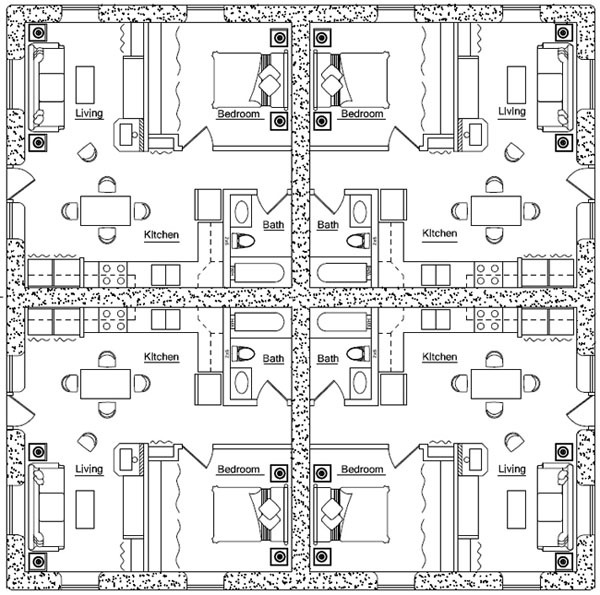 ft. interior, 1 bedroom, 1 bath; footprint: 48’x48′ plus 8′ wrap-around porches. I am interested in purchasing the single level four plex plan with a modification. Can you please call me 612-986-8805. This is a priority project for me. I am sending this from my Realtors office. Please call me.